with Manning, Tania &; Daley, Paul. The Shulgin Index Vol 1: Psychedelic Phenethylamines and Related Compounds. Berkeley: Transform Press. 2011. ISBN 978-0-9630096-3-0. .
with Perry, Wendy. The Simple Plant Isoquinolines. Berkeley: Transform Press. 2002. ISBN 0-9630096-2-1. .
with Shulgin, Ann. A New Vocabulary. (编) Forte, Robert. Entheogens and the Future of Religion. Berkeley: Council on Spiritual Practices. 1997. ISBN 1-889725-01-3. .
with Shulgin, Ann. TIHKAL: The Continuation. Berkeley: Transform Press. 1997. ISBN 0-9630096-9-9. .
with Shulgin, Ann. PIHKAL: A Chemical Love Story. Berkeley: Transform Press. 1991. ISBN 0-9630096-0-5. . Controlled Substances: Chemical & Legal Guide to Federal Drug Laws. Berkeley: Ronin Publishing. 1988. ISBN 0-914171-50-X. .
^ Ancestry.com. California Birth Index, 1905-1995 [database on-line]. Provo, UT, USA: Ancestry.com Operations Inc, 2005. Original data: State of California. California Birth Index, 1905-1995. Sacramento, CA, USA: State of California Department of Health Services, Center for Health Statistics. ^ Ancestry.com. California Death Index, 1940-1997 [database on-line]. Provo, UT, USA: Ancestry.com Operations Inc, 2000. Original data: State of California. California Death Index, 1940–1997. Sacramento, CA, USA: State of California Department of Health Services, Center for Health Statistics. ^ Ancestry.com. California Death Index, 1940–1997 [database on-line]. Provo, UT, USA: Ancestry.com Operations Inc, 2000. Original data: State of California. California Death Index, 1940–1997. Sacramento, CA, USA: State of California Department of Health Services, Center for Health Statistics. ^ Ancestry.com. 1930 United States Federal Census [database on-line]. Provo, UT, USA: Ancestry.com Operations Inc, 2002. Year: 1930; Census Place: Berkeley, Alameda, California; Roll 111; Page: 1B; Enumeration District: 320; File: 1029.0. ^ 7.0 7.1 7.2 7.3 7.4 7.5 7.6 Bennett, Drake. Dr. Ecstasy. New York Times Magazine (New York Times). 2005-01-30 [2006-07-08]. （原始内容存档于14 July 2006）. ^ 8.0 8.1 Romero, Dennis. 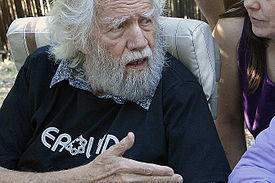 Sasha Shulgin, Psychedelic Chemist. Los Angeles Times. 1995-09-05 [2006-07-08]. ^ Shulgin, Alexander. Controlled Substances: Chemical & Legal Guide to Federal Drug Laws. Ronin Publishing. 1988. ISBN 0-914171-50-X. ^ DEA Raid of Shulgin's Laboratory. Erowid. 2004-01-08 [2006-07-08]. ^ Vice Magazine – The Last Interview With Alexander Shulgin. ^ MAPS News 6/19/2008. （原始内容存档于2012-03-02）. ^ Psychedelic Research - Sasha Shulgin. （原始内容存档于2015-02-22）.